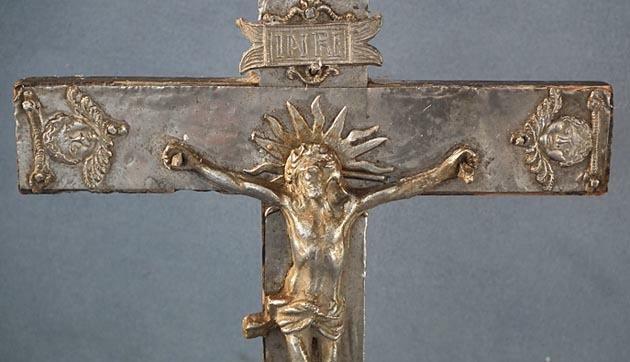 Antique 17th century Baroque Crucifix, composed of black painted wood overlayed on the front by a sheet of silver with cast silver Figure of Christ in the center. 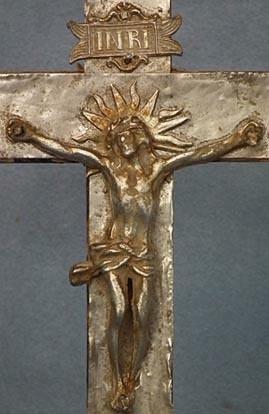 The thorn crowned head of Christ is adorned by sun rays. A windswept perizonium is tied at the waist. The hands and crossed feet are pierced and nailed to the cross. 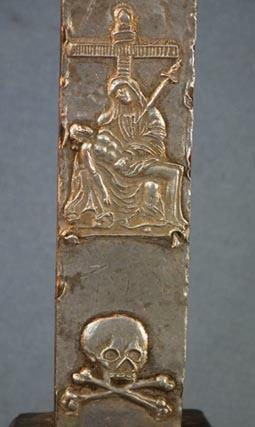 Beneath finely repoussé in low relief and fastened by minute nails is a “Pieta” depicting the heavily draped Virgin seated on a ledge and supporting the emaciated body of Christ. 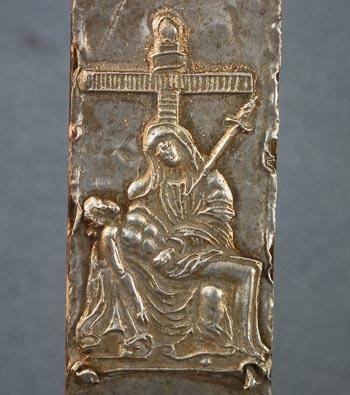 The terminals of the cross are set with the repoussé in low relief silver plaques of winged heads of angels. 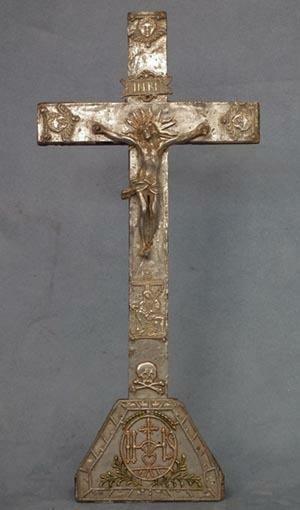 There is INRI monogram scroll, skull with cross bones and small ornaments fastened individually by minute nails. 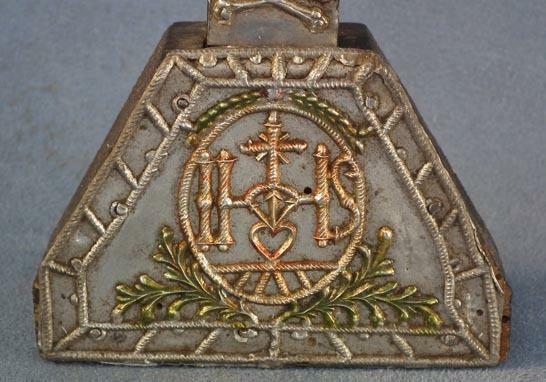 The base is overlayed on the front by a sheet of silver bordered with ropework, centered with gild silver holy IHS monogram in an oval medallion, incorporating the pierced heart of Christ with cross, surrounded by scrolling green leafage. 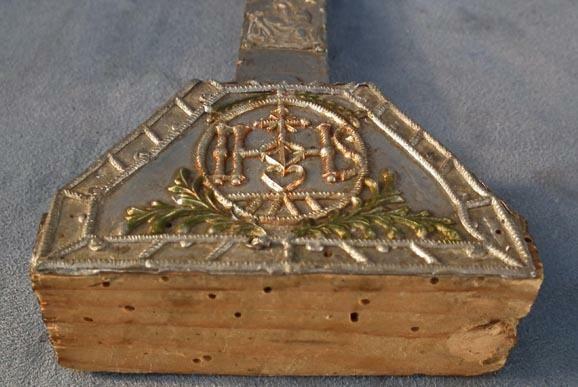 Each element is fastened individually by minute nails. CONDITION: In its original condition showing the age and usage, slightly worn with minute scratches.